Just received my snapmaker - but will not be able to unbox it for another week due to work/life commitments. So looking forward to finally trying it out. The issues with the lasers dying as mentioned in a couple of posts here in the Hardware/Laser Engraving forum by multiple people - are these the 200mW or the new 1.6W laser modules that are failing? The 1.6W laser module is for sale at the store for $129.00. According to the kickstarter campaign update #23, there supposedly was a 50% discount off any kickstarter user that had the 200mW laser module. How does a kickstarter user like myself get the 50% off when ordering? As far as I know all orders are being shipped with the 200mw laser. I have had no issues with mine. Make sure the firmware on Snapmaker is the latest as it addressed a couple of laser issues. I’m Christian from Bavaria/Germany and a total newbie to 3D printing by myself but have some experience with milling. I backed the snapmaker on kickstarter and received my one just today. I finished my studies in electrical engineering one year ago, where I also participated in a Formula Student Electric Team on my university building an electric race car. 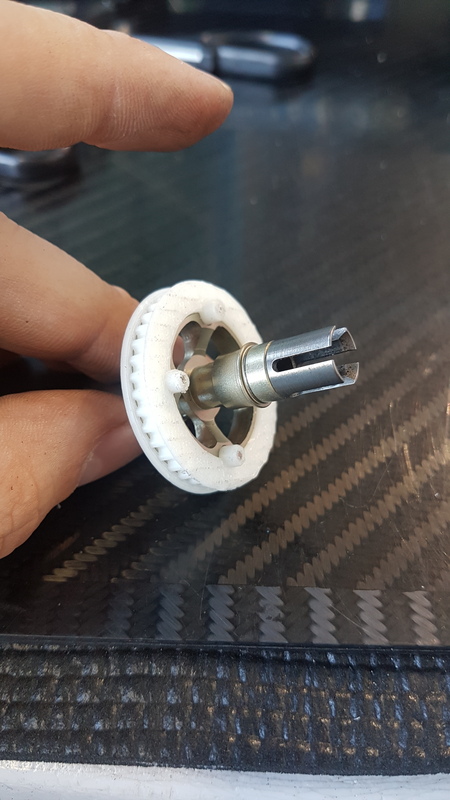 I’m still in contact with the other students and want to support them with 3D printed parts. Also, I like to develope various electrical circuits as my work and as a hobby. Because I’m a very creative person, I hope I can give some helpful feedback for future improvements. Doug the newbie here, I am glad that you have joined the Forum and the party using Snapmakers. Many of us are new to all of this and are learning and those who know a bit more have been happily contributing information and suggestions and we are all benefiting from that… also, we are very appreciative. I’m Vera and entirely knew to all things related to 3D printing, laser engraving and CNC carving. It will be an adventure for me, but looking forward to all of it and all the creativity it allows me to express! Join Thingiverse it is free and a great source of print projects. Search for Snapmaker, which will return a list of projects related to the Snapmaker. Become acquainted with this Forum, which in itself is a great source of information. Now you are set to have fun. These are very helpful for a good start! Hello all, iam have good 3Dprinters before, but they was to big, so i look for a minor one and found it since it have possibilities to carve, laser too. Like some others iam a little worry if the product/software does works out ok, check it out on Youtube and its seams ok, only one had a bad things printing with bridge’ings, but i do expect some foults in a new product. The system build is very good and solid, so i have high hope for it. But in first hands it is print and laser, last carving iam gonna do. I was just looking to increase my range of hobby’s and maybe start up a little business in the process. I saw this product and I thought to myself “This would be perfect”. I have not gotten the printer yet but I can’t wait until I do. Doug the newbie here, welcome to the party. Make sure you checkout many of the great references and link in the SnapLinks topic. Also it is worthwhile register on www.thingiverse.com where many great 3D print projects are located and you can download them for printing, subject to the limitations of the Snapmaker. If you do a search withing Thingiverse fro Snapmaker it will provide you a great list of projects already setup for use on the Snapmaker. I am a product designer and have been working with 3D printers for the past ten years. I came across the Snapmaker two years ago and now finally received it, so far so good and a very promising machine. Especially for wearable devices I am interested in creating prototypes, molds and customizations, perhaps even small batches if the machine is precise enough. Doug the newbie here, welcome to the party. Thanks for the note on you experience, hahaha you will probably be pestered now by newbies fro advice. This is a great forum and many ideas are flowing about the use of the Snapmaker and making suggestions for its improvement. As a startup project, the developers have made a great beginning and I for one look forward to new models. Keep having fun and feel free to share on the forum. I’m Dragunis. Metallurgical Engineering in Portugal. Today i received my Snapamker. I’m glad to be part of this group. Doug the newbie here, welcome to the Snapmaker party. This forum has many great references and links. Take a look at the SnapLinks topic. Also it is worthwhile registering yourself on www.thingiverse.com where many great 3D print projects are located and you can download them for printing, subject to the limitations of the Snapmaker. If you do a search withing Thingiverse for Snapmaker, it will provide you a great list of projects already setup for use on the Snapmaker. Hey! I am Creater and a student in Germany. This is my first 3D printer and I received it a few moths ago. This machine is just awesome. I love using it. Congrats to the Snapmaker Team - you guys did a great job! I use it as a hobby and design with Onshape. Doug the newbie here, in Australia. Welcome to the Snapmaker party… it is addictive! I’ve dabbled in Onshape some. I’ve been meaning to learn more. I’m a SolidWorks user at work and have used a dozen different CAD programs over the years. How do you like Onshaoe?